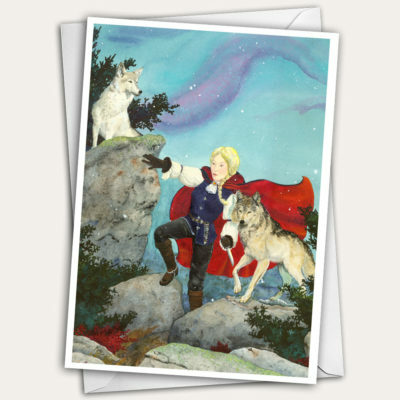 These lovely greeting cards will be appreciated by everyone on your Christmas, Holiday, or Solstice card list. It’s blank inside, so you can personalize it with your own message. 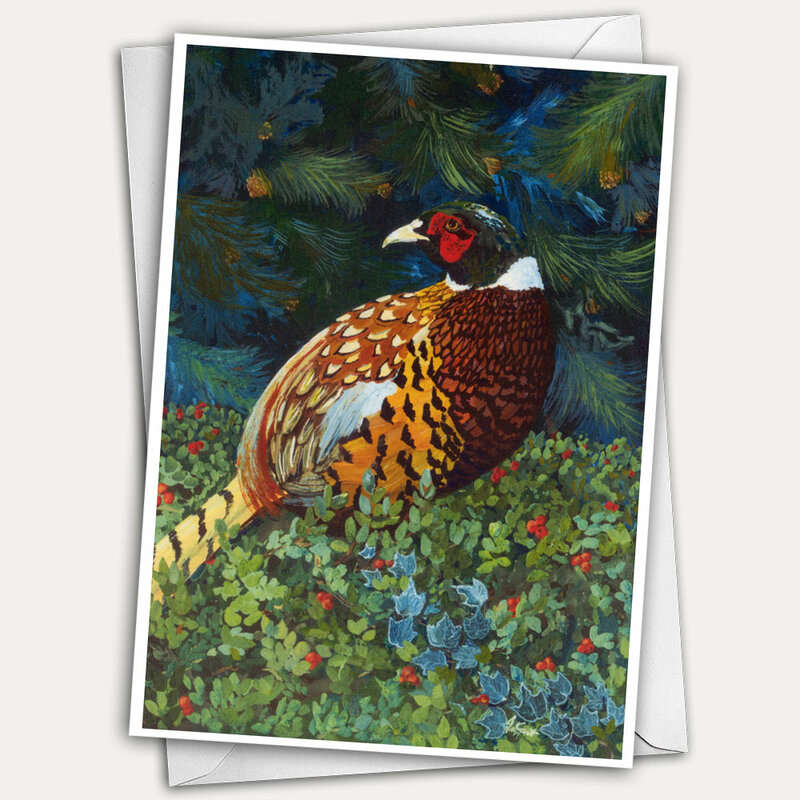 The beautiful warm colors of the pheasant glow against the evergreen foliage of ivy, bear berry and pine. And with a pack of twelve, you might save one or two cards for framing, which makes a lovely gift for any bird or nature lover. 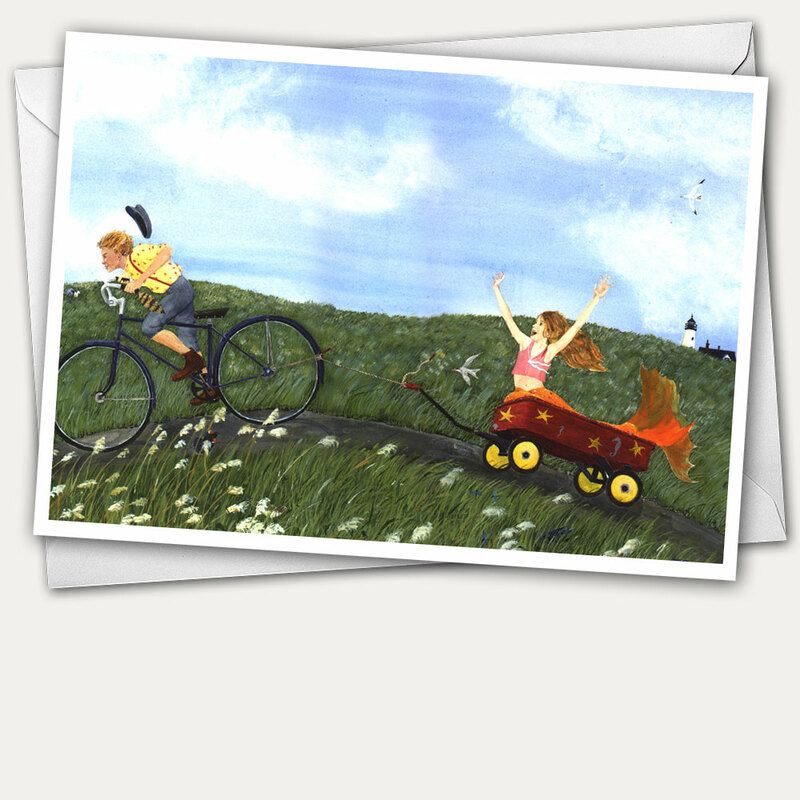 Since these cards are printed on heavy quality paper with acid free inks you can enjoy them year after year. Also available as a single card here. 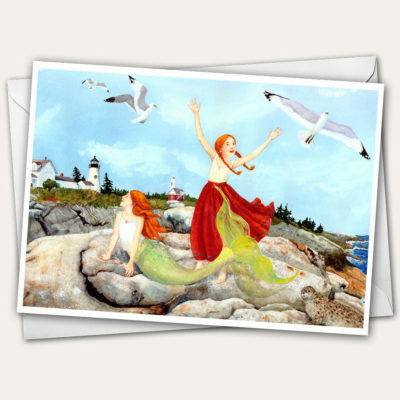 Free Shipping sent out within 3 business days means you’ll get your cards quickly.